The bell rings and the two boys return to their respective corners. Both beginning fighters, neither has had more than a dozen matches. Twelve-year-old Mo's team coaches him, gives him water, rubs his arms and stretches his legs. Get back in there and do it, they tell him. You got this one. Mo hasn't won a fight in months. He's been on a 12-fight losing streak. But his gym, Wor. Watthana, doesn’t give up on him. As long as he wants to fight, management will keep getting him matches. They know it takes fighters time to come into their own; everyone hits their stride at different speeds. And Mo is just a beginner, only 12, a year into his fighting career. Mo takes a deep breath and rises from his stool in the corner, comes to the center of the ring for Round Two. The other child meets him halfway. They briefly make eye contact, then the other boy averts his gaze. The ref drops his hand and the boys go to work. Mo jumps in with a few solidly placed kicks. He is more aggressive than usual. After a long series of losses, he doesn't want to lose again. Less than a minute into the second round, Mo unleashes a sloppy but effective combination, sending the other child running. Mo pursues the fleeing kid like a crazed butcher chasing a chicken making a break for it. The ref calls it off, raises Mo’s hand. Mo gives no celebratory dance or cheer or even smile upon the end of his losing streak. Just heavy exhales and a look of intensity. Maybe relief. Maybe slight annoyance. Mo steps down from the ring, his heart rate slowing to normal, his family enveloping him in hugs, his teammates congratulating him on the TKO he just achieved over another child fighter. This marks his first win of 2016, and his second fight since the year began. It’s January 2. The new year is only two days old so far. Mo is not the exception to the rule. 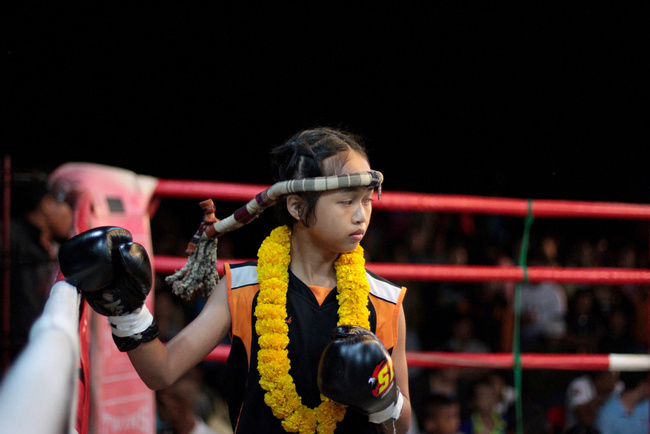 All over rural Thailand, fighters take up gloves with high frequency, especially during the holiday seasons. 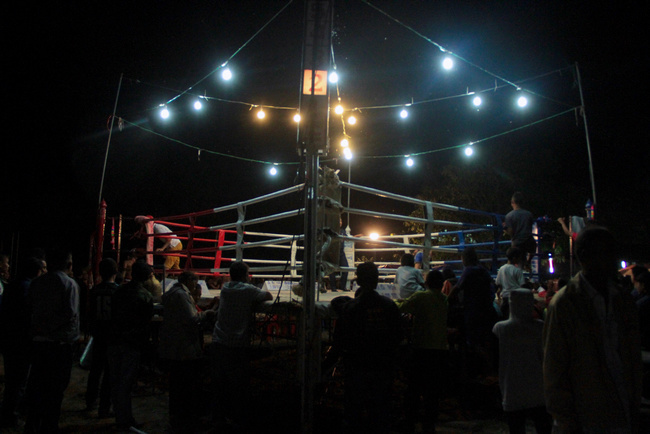 Far from Bangkok and most regulating authorities, which mandate boxers must stay out of the ring for three weeks after a fight, fighters in rural Thailand take advantage of the lax enforcement of rules to gain ring experience, exposure, and money when Muay Thai business is good. Up next is 13-year-old Ann, Mo's teammate from Wor. 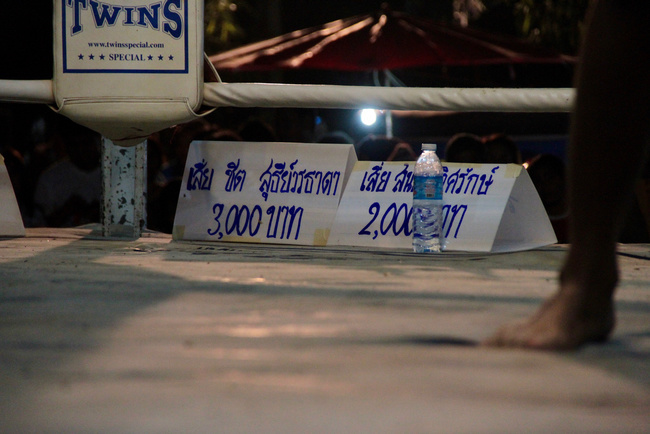 Watthana Gym. She makes quick work of her opponent, winning this fight just like she won her fight yesterday, overwhelming the other girl with precise kicks and knees, throwing her opponent down in sweeps like she’s made of sticks. The ref calls off the fight before the first round is up. TKO, just like yesterday. Ann's second win in two days. No one gives Ann and Mo special treatment for having fought twice in two days. Other gyms have fighters doing the same thing. For all they know, their opponents have fought just as much, maybe more. Ann and Mo’s teammate, 16-year-old Senrak, fought three times in the span of 16 hours, two wins. He lost the last fight on points, went home and posted shots of his split eyebrow on Facebook to the liking of many of his online friends. The fight was on January 1. 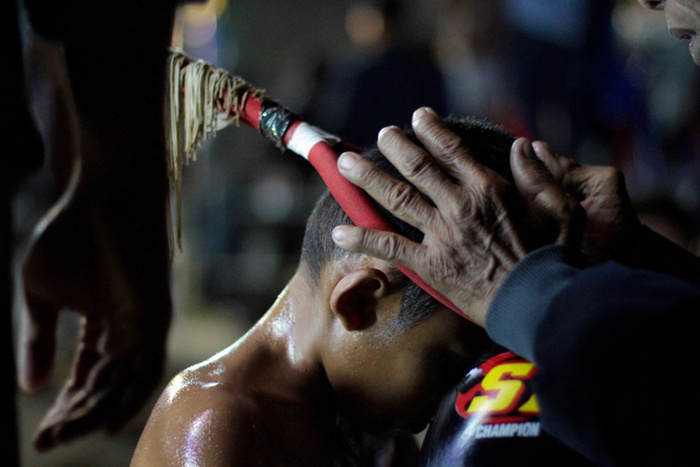 Happy Muay Thai New Year. Mo and Ann are the only fighters scheduled for tonight, but their friend and teammate Boo, a 15-year-old girl whose troubled life weighs on her as clearly as the tattoo on her chest, is offered a fight last-minute. Her manager had seen another girl her size walking around the fair and had asked that girl’s gym if they’d like to put her against Boo. Soon Boo, who went to the fight night just to support her teammates, finds herself across from another girl in the same boat. Neither girl knows the other’s name. With only 30 minutes to ready themselves for the match, Boo borrowed wraps and shorts from the very teammates she came to support, while the other girl, a local, sped home on a motorbike to pick up her gear. Though only beginners, the girls fight beautifully. Their boxing is nearly nonexistent but their kicking is aggressive, full of heart. This is Boo’s third and best fight, her comeback from last week’s TKO, and it ends in a hard-won draw. Boo is relieved to have done so well, especially since her father was watching from her corner. Having him there is a special occasion for Boo, as he works menial labor in Bangkok and seldom has time or money to visit his daughter, who lives with extended relatives in their rural village. 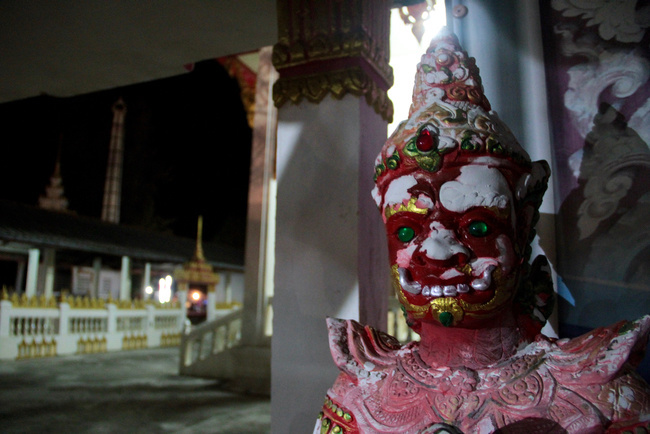 It’s a life that mirrors many other children in the Isaan region. Three fights for Wor. 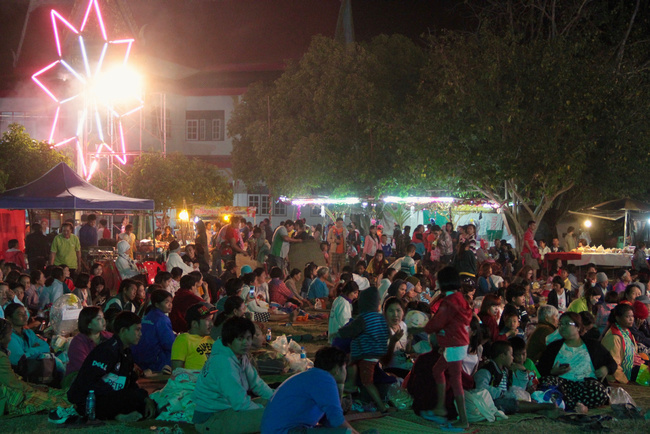 Watthana: two wins and a draw. 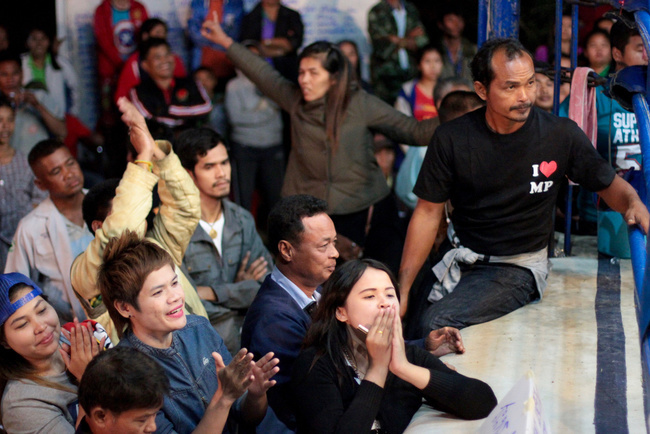 Gym owners Boom and Frances Watthanaya are happy with the results. These small shows are where they belong for now, while their child fighters slowly build names, skills, and confidence in the ring. They explain to their fighters the value of these shows, the subtle value beyond the fight purse or the chance to get their names out. Small temple fairs like this are unpredictable. The kids could get a tough opponent or an easy one. They have to be ready for anything. After the New Year’s frenzy ends, life goes back to normal. The kids train daily and take fights when they can, maybe one every couple weeks depending on the season. The next time they’ll be offered multiple fights over a matter of days will be in February, during the annual week-long festival at a local temple. One Wor. 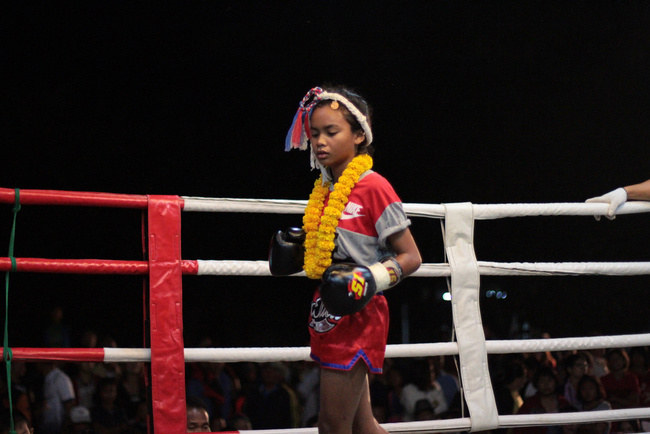 Watthana fighter who stepped into the ring twice over the New Year’s holiday, 12-year-old Bpaet, is already planning for it, pleading with the owners of Wor. 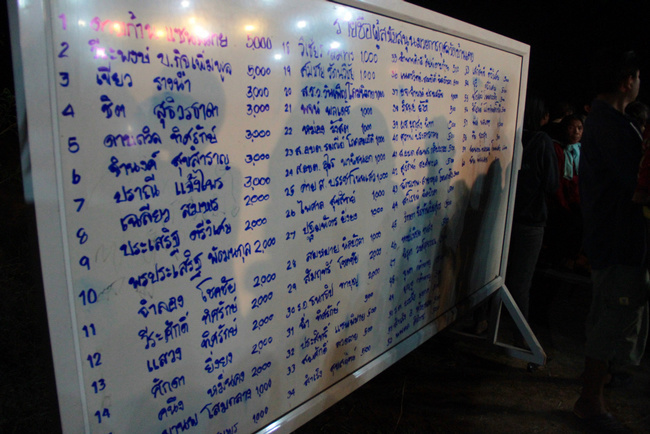 Watthana daily at training to match him up for a fight every day in the upcoming holiday week.